This was posted in a Financial Times article and I thought it was interesting how the outstanding non-securitized loans have a nice parity with the stock market capitalization. 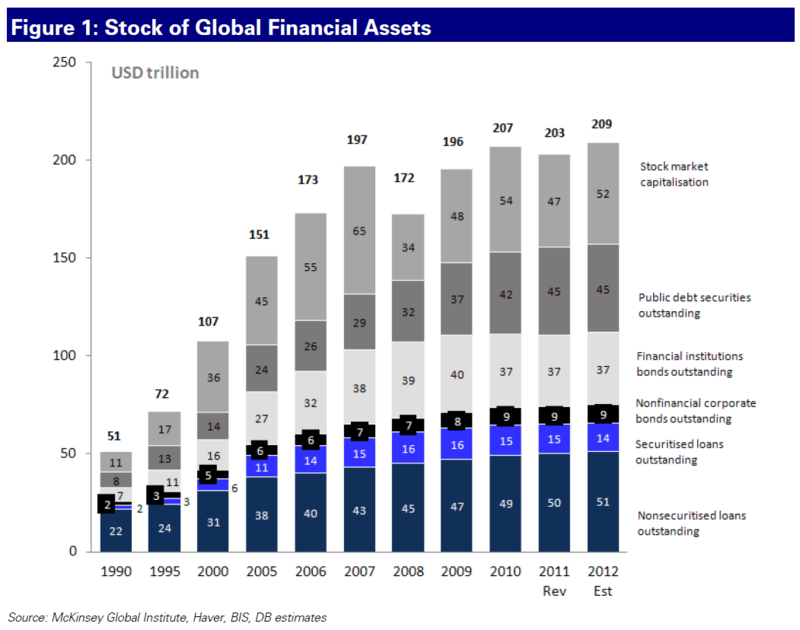 Also of interest of course is the estimated 2012 numbers – $209 Trillion will be the highest level yet. It seems in line with the trend last year of rising corporation earnings and valuations.